Reliable, Dependable, and the Best Selection on the Outer Banks. We know that if you give Sun Realty a chance, you'll trust us with your Outer Banks vacation year after year. We take pride in offering you the largest selection, best value, and friendly service. 1. Largest Selection! We offer the largest number and greatest variety of vacation rentals on the Outer Banks! From budget-friendly cottages to luxury homes, search our wide inventory of Outer Banks rentals. 2. Rental rates for all budgets, with any additional fees clearly itemized. No surprises here! Plus, no damage waiver fees, credit card fees, or administrative fees! 3. Only Pay for the Services You Want! We let you decide whether to include services such as Linens Rentals and Early Check-In. This allows us to offer you the best value on your Outer Banks vacation rental. 4. Flexible Payment Options! Sun Realty allows you to break your payments up into installments! Our guests asked for flexibility and we delivered! 5. Pet Friendly Vacation Homes! Bring your furry family member along - Sun Realty offers a wide selection of Pet Friendly Outer Banks rentals! 6. Custom Design Your Vacation! Our innovative Freestyle Flex Vacations Program allows you to choose the number of nights you'd like to stay and select your own check-in day. 7. Call Us 7 Days a Week! Helpful Vacation Specialists are available 7 days a week to answer questions and help you book the perfect Outer Banks vacation rental. 8. Reserve Without Worry! Affordable Travel Insurance covers unexpected issues such as severe weather and medical emergencies. It even covers your travel expenses if you lose your job or are transferred to a new location. 9. We Love What We Do! The entire Sun Realty team is excited to host your Outer Banks vacation. We understand how important this time is, and we want to help you make this your best vacation yet! 10. Over 30 Years of Experience! 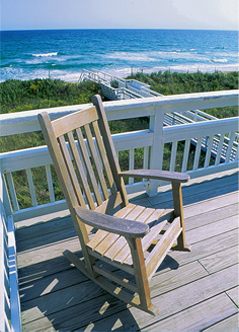 We've been providing great Outer Banks vacations since 1980. You know we must be doing something right!